Firefighters are working to contain three brush fires in Collier & Hendry counties. 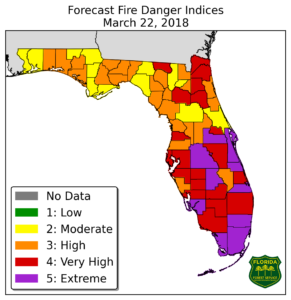 Southwest Florida is still at very high and extreme fire risk, according to fire officials. This fire has burned 125 acres and was contained Thursday morning. A voluntary evacuation was issued Thursday for structures on Snake Road and Lee Williams Road, according to fire officials. 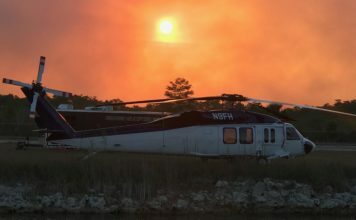 The fire charred 1,500 acres and was 20 percent contained as of 9:30 p.m. in the Picayune Strand State Forest, fire officials said. Fire officials are actively containing the brush fire. 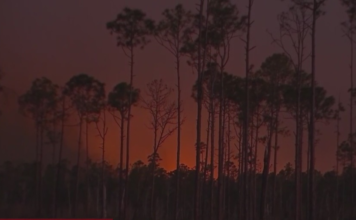 The 400-acre fire in the Picayune Strand State Forest was 20 percent contained as of 5 p.m., fire officials said. The fire, located near Hendry County Jail, has burned 800 acres and was 50 percent contained as of 5:31 p.m., according to fire officials. No structures are threatened.